Product prices and availability are accurate as of 2019-04-19 10:52:16 EDT and are subject to change. Any price and availability information displayed on http://www.amazon.com/ at the time of purchase will apply to the purchase of this product. Extra bright and white for high contrast images perfect for everyday use. A versatile paper engineered for use in copiers, printers and fax machines. Global Product Type: Office Paper-White; Sheet Size (W x H): 8 1/2 in x 11 in; Paper Color(s): White; Assortment: N/A. 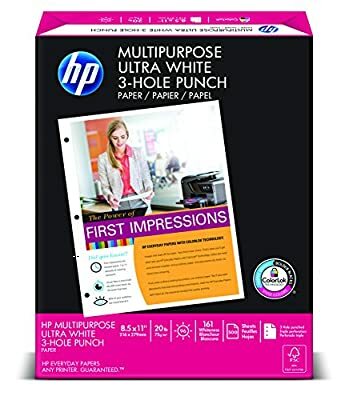 Designed for use with HP inkjet printers, copiers, fax machines, laser printers, and office equipment, HP Multipurpose Paper delivers sharp, professional-looking results every time. It features ColorLok technology for bold blacks, eye-catching color, and less smearing. You'll love the look and feel, and so will your clients. Whether for professional, creative, or everyday use, HP helps take the guesswork out of finding the perfect inkjet or LaserJet paper for any project. Not all papers are created equal. 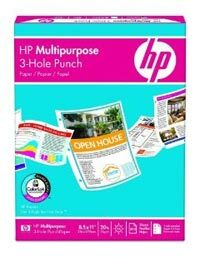 Designed with each element of the HP printing process in mind, HP papers, toners, and inks are specially engineered to work together to deliver quality, reliable printing, as well as fade resistance, bolder blacks and more vibrant colors. Because HP papers are specifically formulated to work with HP printers, it's important to select the right HP paper for every job to ensure a crisp, clean finished product. Glossy: For color images that really pop, try printing on a paper with a glossy finish. Matte: If printing a document with text, such as a term paper or resume, a matte finish can make your text easier to read. Satin: A satin finish will give your photos a smooth, professional touch. The brightness of your paper refers to the amount of light reflected from the surface of the paper, and is typically measured on a scale from 1 to 100. 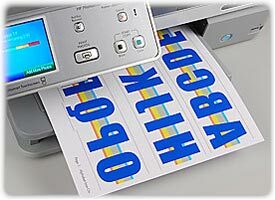 Print on brighter paper, such as HP Bright White Inkjet Paper, for higher contrast, crisper text, and a clean background for more vivid images. Thickness (measured in millimeters) and weight (measured in pounds), refer to the sturdiness and crease-resistance of your paper. HP paper comes in a variety of different weights. 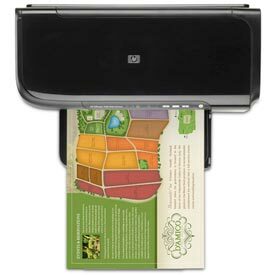 You may try using a heavier paper for artwork or pieces that will be frequently handled, like cards or brochures. Heavier paper can also help formal, more substantial printed pieces, such as resumes and invitations, stand out from the crowd. 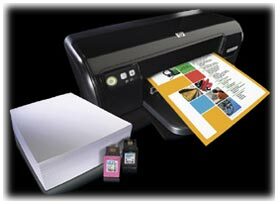 HP offers many kinds of paper in a variety of sizes, from standard 8.5" x 11 inches paper, to 4" x 6" and 5" x 7" photo paper, to specialty sizes such as wide format and legal paper. Not all printers can handle all kinds of paper, so before stocking up, check your printer manual for paper size and weight capabilities. Whether printing driving directions, invoices, snapshots for the fridge, or formal wedding invitations, HP has the paper you need to get the job done. For basic home and office printing, a simple, multipurpose paper is your best bet. Many HP multipurpose papers now feature ColorLok technology for more vibrant colors, bolder blacks, and fewer smears. Engineered with special additives that chemically react with inkjet inks, ColorLok paper absorbs ink deeper into the paper while holding the pigment closer to the surface, delivering impeccable print quality every time. Bright finish and smooth surface for sharp, professional-looking results. Usage Ideas: General office documents, especially documents that combine text with spot colors. 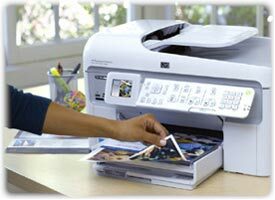 When you print on HP photo paper, you get professional, lab-quality photo prints every time. Whether sharing snapshots of a recent gathering with friends, displaying artistic photos in your home, or reprinting a treasured photo heirloom, HP has the photo paper you need for crisp, high-quality photo prints that last. 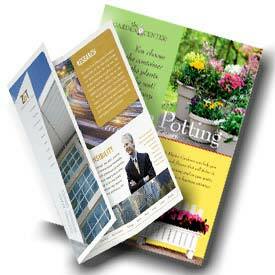 Use HP Brochure and Flyer Paper for colorful, high-quality marketing materials. HP has the media you need for just about any creative printing endeavor. Create customized scrapbook pages, formal invitations, or gallery-quality artistic prints. Embellish a T-shirt with a professional logo, cool graphic, or silly photo. Print transparencies right at your home or office. With HP special media, the opportunities are endless.